If you are looking for Photobooth Hire in Western Sydney, In the Booth covers all areas including Blacktown, Penrith, Campbelltown, Richmond and are happy to travel to Katoomba and beyond. We work closely with our neighbouring team in Sydney to cover the entire greater Sydney region. Western Sydney is rich with multicultural areas set on breathtaking naturally beautiful landscapes. With so much culture comes great celebrations of all types. The best way to capture any celebration is with a photo booth, jump in and let your hair down! 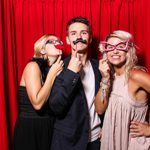 It is so important to Jacob and Louise to provide a special and uniquely Western Sydney photo booth service for all your parties, be it a wedding, school formal, birthdays or a corporate event! Hi, we’re Jacob and Louise, born and bred in Western Sydney. We have jumped on board with the team at ‘In the Booth’ and are loving bringing the wonderful experience of photo booth hire to Western Sydney. We are big on family and have just started one of our own. We love experiencing new things and when we’re not boothin’ it up, we love to travel and experience everything the world has to offer. We take pride in everything we do, and providing you with a professional service as well as creating a fun atmosphere for all your guests to grab some great snapshots is exactly what we aim to achieve. We can’t wait to meet you and help make your event even more memorable. For Western Sydney photo booth hire please get in touch. "I have nothing but good things to say about you all. In the Booth was by far the easiest and most professional business we dealt with while organizing our wedding. It was hassle free from the get go. Your organization and structure made it such a stress-free process. We knew that we could find a photo booth for our big day at a cheaper price but this is a perfect example of you get what you pay for! Quality from start to finish and worth every cent! Thank you for capturing incredible moments." "Thank you so much for your generous donation to the Dyspraxia Foundation of Australia‘s Winter wonderland ball. We all enjoyed your booth and captured some great memories. Thank you again so much." "Good morning, I just wanted to say a BIG thank you for making our New Year’s Eve party a big success. Our booth attendant was absolutely amazing. Very attentive, very professional and nothing was a problem. Everyone commented on how lovely she was. We will be sure to recommend you guys to anyone who needs a booth in the future. " 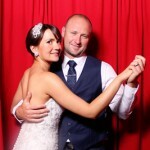 What is it you love about providing photo booth hire services in Western Sydney? We love the reaction of boothers when they walk out of the photo booth and collect their photos. As the prints drop down, seeing some of the expressions is priceless. For our brides and grooms our booth is a way of getting away and spending a few precious moments by themselves which we love to capture for them. Tell us about some uniquely Western Sydney touches you have seen at an event? It is always special when you see couples getting married, but when the backdrop of their wedding is the Blue Mountains and the valleys, it adds a touch of beauty that imprints in your mind forever. With the photo booth in the forefront and the mountains at your feet, it feels like you’re on top of the world. 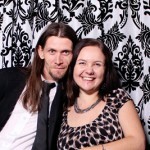 Western Sydney photo booth hire is very competitive! We always get asked “Do you provide props?” Well we can now say that we do! We supply a range of very high quality props that can add that extra edge on your already awesome photo booth experience. Make sure you enjoy yourself. If you’re organising an event, I’m sure it’s because you want everyone to have a good time including yourself. Being stressed is contagious, just like being happy is too. Explore. Western Sydney is rich with Culture and Heritage, the Hawkesbury has some of the earliest settled suburbs in Australia. Liverpool, Fairfield and Cabramatta have some of the most amazing food available. If you’re after some adventure, Penrith at the foothills of the Blue Mountains and Campbelltown have what you want with hiking, water sports, skydiving and hot air ballooning, just to name a few.